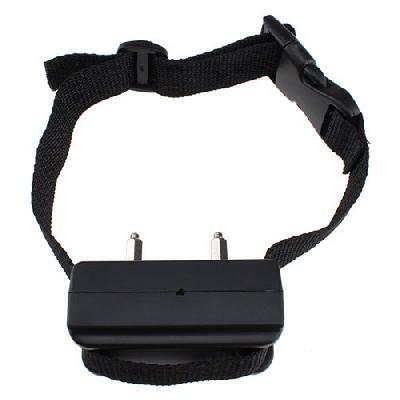 Dog Training Collar Anti Bark.. The Terminator- first applies a warning tone followed by progressively increasing tone and shock as your dogs barking persists. If your dog is quiet for 30 seconds or more, the Terminator- resets to the mildest correction level. In this way, your pet needs only to experience the higher shock levels a few times before learning that the mild sound and shock stimulus is a warning of stronger corrections to come. Your pet will quickly learn to SHUT UP at the mild correction without having to suffer the more intense stimulus. We have found this technique of progressively increasing sound and shock is not only more humane, its more EFFECTIVE in barking habit than conventional shocking bark control collars. The technique is only found on the Terminator- made by Belong Electronic Pet Products.